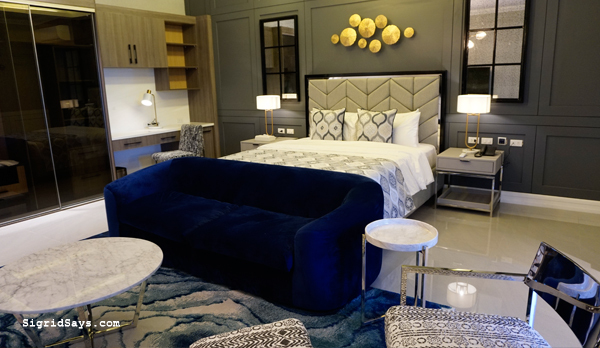 Stonehill Suites is the newest luxury boutique hotel to open its doors in Bacolod City, Negros Occidental, Philippines. Check out the amenities, prices, and what it has to offer. 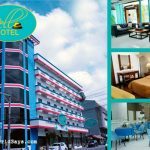 Stonehill Suites is an executive suite hotel that just recently opened in Bacolod City. 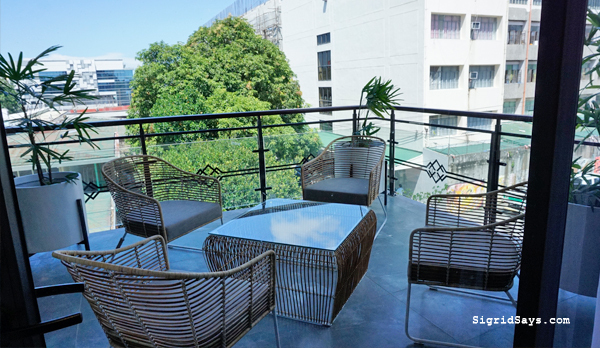 Overlooking the northern part of Bacolod City, Stonehill Suites is conveniently located at corner 18th Street-San Agustin Drive. 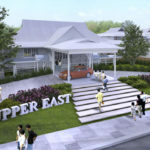 It is near the city’s financial and commercial district and the row of homegrown Bacolod restaurants. It is also walking distance to the action for the Electric Masskara Festival for the month of October. The lounge on the third floor. 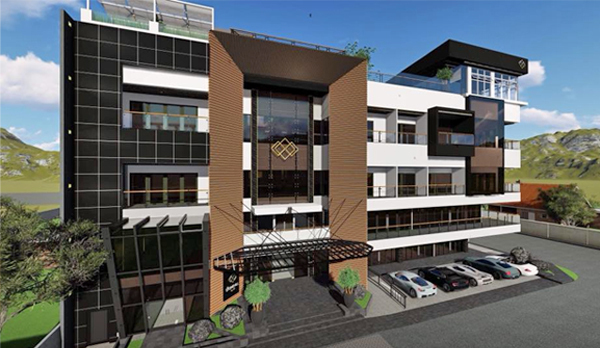 Stonehill Suites is a tribute of Mr. Jerry Sy, a Bacolodnon contractor and businessman, to the city he calls home. He wanted visitors to experience the kindness, care, and hospitality of the genteel people of Bacolod. 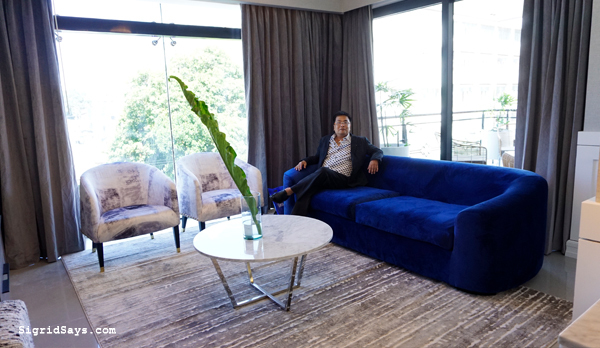 So, he envisioned an executive suite hotel that will showcase Ilonggo hospitality to the world. 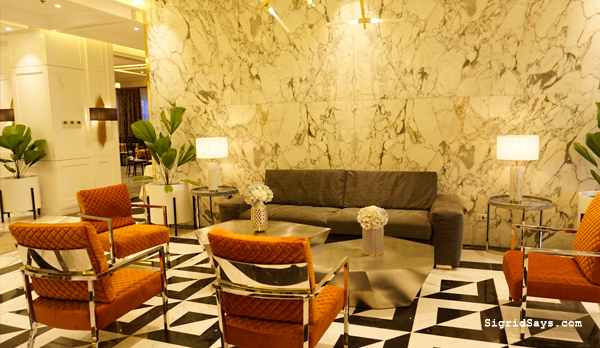 This elegant new hotel is thoughtfully planned. It has ample indoor and outdoor spaces. The interiors, including the rooms, are all tastefully appointed and painted with predominantly muted tones. Guests will surely enjoy the local patterns incorporated in sophisticated and glamorous accents and appointments around the property. Stonehill Suites has 25 executive rooms and is the first of its kind in the city. It features large, full-scale suites for both leisure and business travelers. For added value, all these rooms include an ala carte breakfast for two. 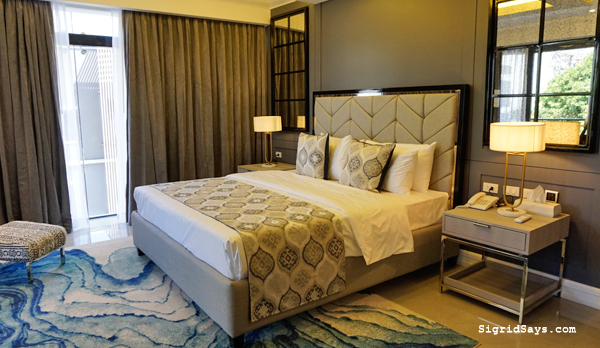 This is room 306 – one of the luxurious suite rooms at Stonehill Suites. Additionally, several business and function rooms are also available. Their ballroom can seat up to 100 persons in a dinner setting. There is also a smaller function room that can accommodate up to 50 people. 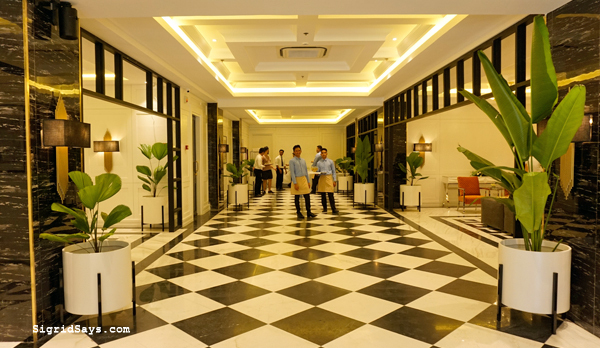 The hotel also has a commercial area for the business needs for the guests and the locals. Moreover, it is also equipped with a modern fitness gym that is exclusively available for use of hotel guests. 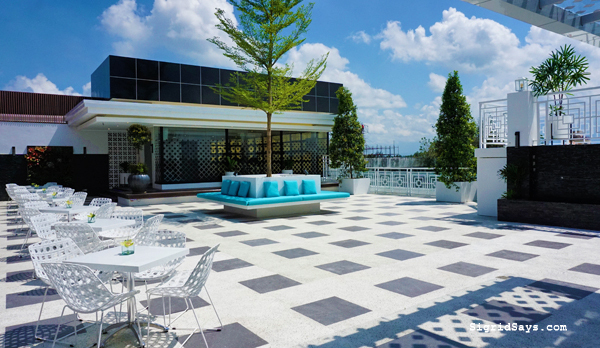 On the top floor, which is actually the fifth, Stonehill suites has a roofdeck bar and restaurant called Skydeck. It has a breathtaking view of the city and is expected to be the newest hang out of those who just want to chill out for the night. 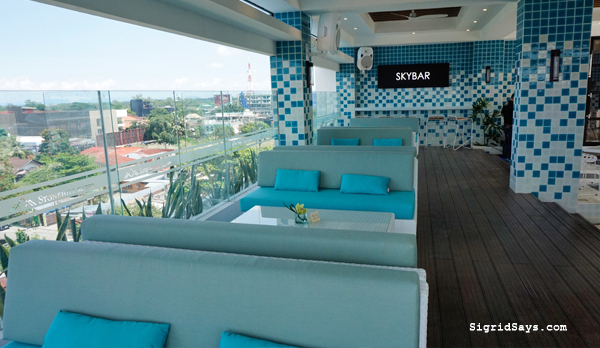 Skybar – the roofdeck bar of Stonehill Suites. So nice up there, especially at night. 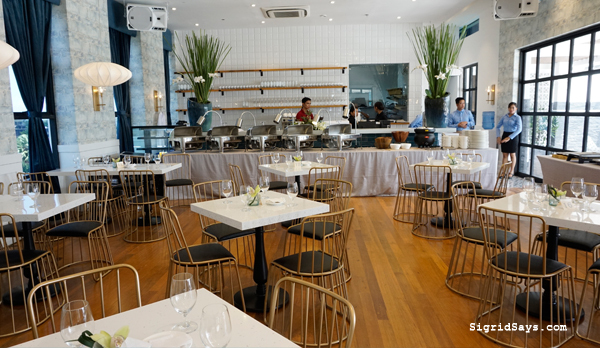 Furthermore, it might become another gastronomic hangout in the city because of their tasteful dishes. 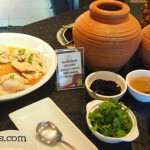 They have an air conditioned restaurant that is managed by Portiko Cafe and Bar. 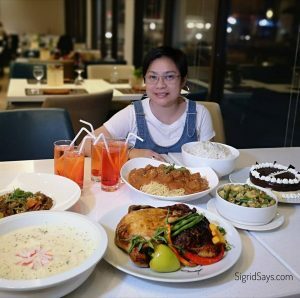 The restaurant at the rooftop is managed by Portiko Cafe and Bar — a homegrown Bacolod restaurant. Please find below the peak season and non-peak rates of Stonehill Suites. For the amenities that it has, plus the sizes and appointments of the rooms, the prices are quite reasonable. Room 305 has a very nice and spacious room and veranda. Note: Prices as of October 2018. Inclusive of 12% VAT. The receiving room of Room 305. The spacious balcony of Room 305. 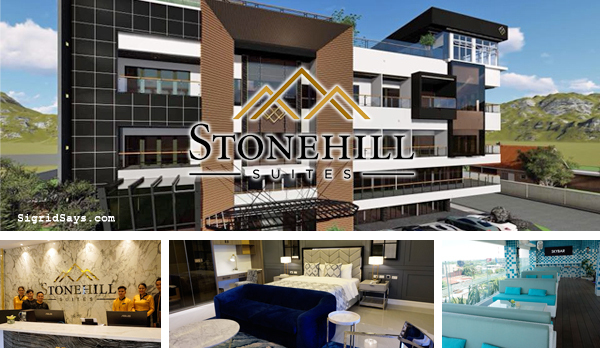 Meanwhile, watch this short video tour of Stonehill Suites during the grand opening day, held October 10, 2018. Stonehill Suites is so fabulous and super comfortable. The only thing missing here is a swimming pool. But the rooms are so luxurious. I am so excited to have our family staycation here. The Stonehill Suites, as rendered by the artist.